Kurt Loder: famed MTV News anchor, music writer and … film critic? 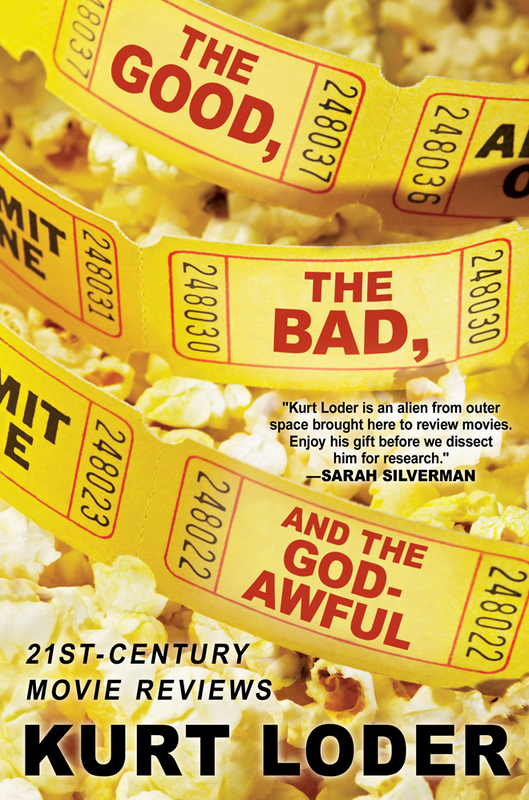 If you ask him, Loder prefers the term “movie reviewer.” He says as much in the introduction to his new book, The Good, The Bad and The God-Awful: 21st-Century Movie Reviews, a collection of his film writing since 2004. The unassuming scribe writes that a true film critic is someone like Pauline Kael, a scholar of the art form who wrote for The New Yorker. Loder’s own pop culture interests are wider than just cinema, but he’s deeply into film. Many of the reviews in The Good, The Bad and The God-Awful have been available online (they were originally written for MTV and Reason magazine), but Loder wanted to gather his work in one place. The book is divided thematically, with sections like “Creepers” (for scary horror and scary-stupid attempts at horror) and “The Land That Laughs Forgot” (for comedies best avoided). The book also has an actor-centric portion devoted entirely to Nic Cage. Loder’s reviews are all short and easy to read. He stayed away from altering any of his original ideas, so some of his reviews couldn’t make the cut (he admits he wrote a rave review for Watchmen simply out of excitement for the comic book finally being brought to the big screen). Still, the book contains its fair share of surprises — praise for Lemony Snicket’s A Series of Unfortunate Events and even a defense of Jennifer’s Body. Given Loder’s credentials as a pop-culture scholar, it was a pleasant surprise to see him as an early supporter (via Twitter) of Wired’s Relic Wranglers, a community intent on uncovering lost media artifacts. Loder notes that artworks lost to history or sealed away in vaults have a special mystique in the internet age, when so much media is just a click away. In keeping with his recent book, Loder’s personal lost items of interest fall within the film industry. At the top of his list: Orson Welles’ second feature film and a biopic about twisted game show host Chuck Barris. Loder is quick to remind us that not all lost pop culture relics are created equally. Some might be better off locked away in vaults.